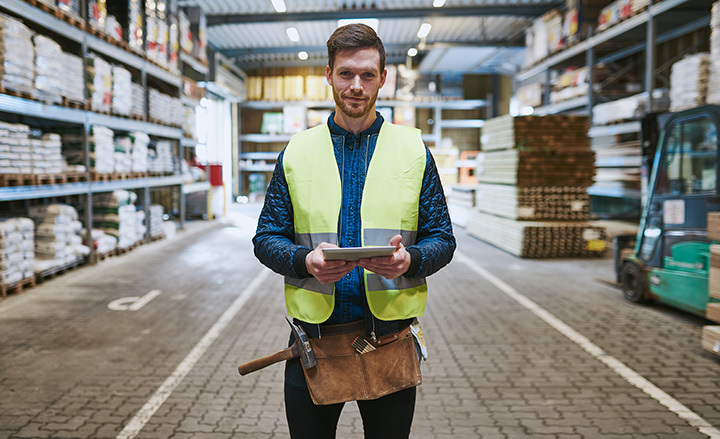 Whether you’re searching for new tools to spruce up your lawn or start a home improvement project, local hardware stores will not only provide you with the best equipment but also the guidance of a knowledgeable staff. From old-school, family-owned operations to small chains, here are the 10 best hardware stores in Arizona. Six Points Hardware has been a go to Phoenix hardware store for over 70 years. This family owned and operated hardware store has been serving the Valley since 1946. The spacious hardware store has rows upon rows of fully stocked shelves with items for home improvement. Six Points is an old-school hardware store that’s known as much for their service as they are their products. The helpful staff is happy to help you with your entire do it yourself needs. HomCo Lumber and Hardware is Flagstaff’s one-stop shop for hardware needs. This family run hardware store originally began as “Odds-N-Ends” in 1975. It’s since grown to become one of Arizona’s largest providers for home improvement items. Their store has many specialized departments and products that rival even the largest chain hardware stores. HomCo has a great selection, great service, and quality prices. Are you looking to put the finishing touches on your home? Look no further than Arizona Hardware. This hardware store distributes the best in bath, kitchen, door and cabinet items. Their fashion hardware items match a variety of styles and include many innovative designs to add personality to your home. Arizona Hardware has a 21,000-square foot warehouse and showroom located in Gilbert. Lowry Hardware has been providing Tucson residents their home improvement needs for over 50 years. This family-run hardware store has a large selection of plumbing, electrical, lawn and garden items and more at their Tucson storefront. Lowry also ensures that they always meet your product needs. Their warehouse facility carries over 68,000 items that customers can order. A trip to Dave’s Hardware Store is almost like a trip through time to when neighborhood hardware stores outnumbered big chains. They have a friendly, knowledgeable staff willing to go the extra mile. It’s even dog friendly and the owners are known to bring their pups to work. Dave’s has a large selection of tools, repair parts, lighting supplies, and more to meet your everyday hardware needs. They also fix and sell used lawn mowers and make keys. Because going the extra mile is standard at Dave’s. Clyde Hardware has come a long way since opening in 1966. It’s gone from a small downtown hardware store into a huge provider for local kitchen and bath remodeling equipment. Their 5,000-square-foot plumbing and hardware showroom includes hundreds of different hardware items. Clyde’s is the place to go whether you’re embarking on a small-scale remodel or building a home from the ground up. There aren’t many mom-and-pop hardware shops in Arizona. That’s what makes Plaza Hardware so special. This true mom-and-pop was opened by a couple in 1981. According to the Ahwatukee Foothills News, it’s the longest continually operated retail business in Ahwatukee. The old-school shop is a leading provider of hardware, lawn supplies, tools, and pool equipment to Ahwatukee residents. Plaza Hardware has the prices, service, and products to compete with even the biggest of chain hardware stores. Pine Hardware may be a small-town hardware store, but it has a large selection of hardware items. Pine Hardware caters to the northern mountain town of Pine, Arizona. They have a variety of plumbing, electrical items, and tools available. Think twice before going to Home Depot. This local shop has all the necessities for do it yourselfers and contracting businesses. McFadden Dale has been a leader in providing industrial hardware and supplies to Phoenix since 1991. The one-stop-shop have everything from hand tools to cutting tools and warehouse supplies. Their helpful staff will help you find what you’re looking for in this huge, well-stocked store. McFadden Dale specializes in hard to find items and has thousands of in stock products. It’s a handyman’s dream. In many ways, Wally’s World is an old-school hardware store. It looks like something out of an old country Western. It also has a small, friendly staff ready to help loyal customers. Wally’s has been serving Yuma for over 20 years and carries over 10,000 items. They have everything from nuts and bolts to large RV supplies. This is a one-stop-shop for all of your hardware needs.